Israel Book Shop presents Chapter 12 of a new online serial novel, Beneath the Surface, by Esther Rapaport. Check back for a new chapter every Thursday or Friday. Click here for previous chapters. Chani finished the conversation with her sister and walked out of the room, passing the nurses’ station. True, she had seen the baby just an hour ago, but even that was too long for her. For her own peace of mind, she had to see how he was doing, up close. She entered the nursery, passing rows and rows of screaming babies. “For me it’s also excellent,” Chani said and slipped inside. Most of the nurses here knew her well. After all, she’d parted from them tearfully just a year and a half ago. Israel Book Shop presents Chapter 11 of a new online serial novel, Beneath the Surface, by Esther Rapaport. Check back for a new chapter every Thursday or Friday. Click here for previous chapters. “I didn’t tell you to look at what’s inside,” Menuchi replied and tore the envelope open. A few stamps fell to the floor. “Just at the address on the envelope.” It was enough that by tomorrow morning four or five of Miriam’s friends would know that she had received a letter from Tzefas. She did not need them to know what it said. But what did it say? She extracted another sheet of paper from the envelope, forgetting about the stamps on the floor. Finally, she was sitting on the bed in the room she shared with Chaya’le and could read the letter. 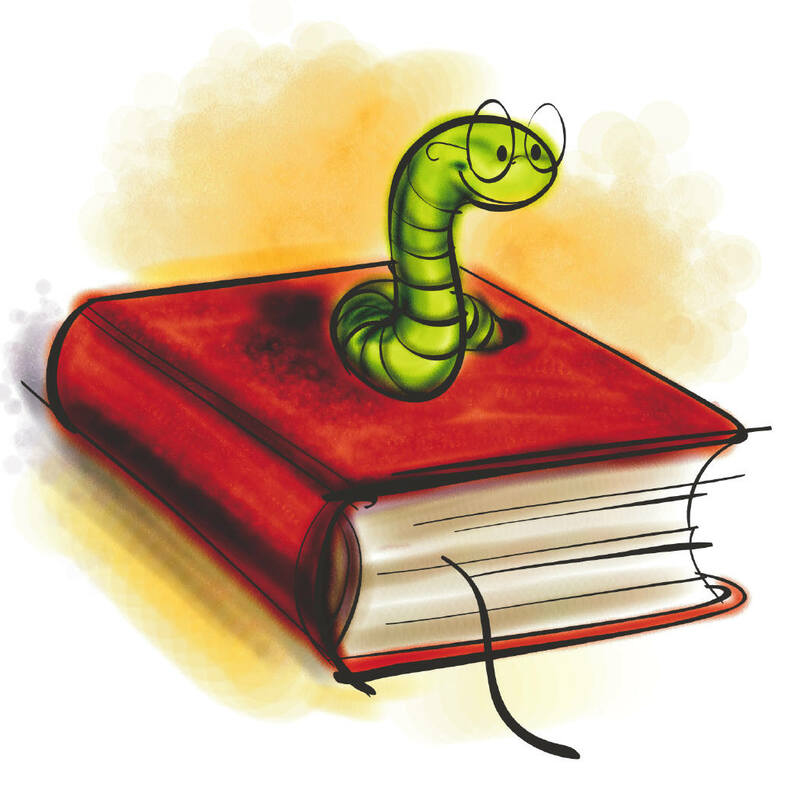 A dictionary rested on the bed near her, in case she wouldn’t understand something. But the words were quite simple. 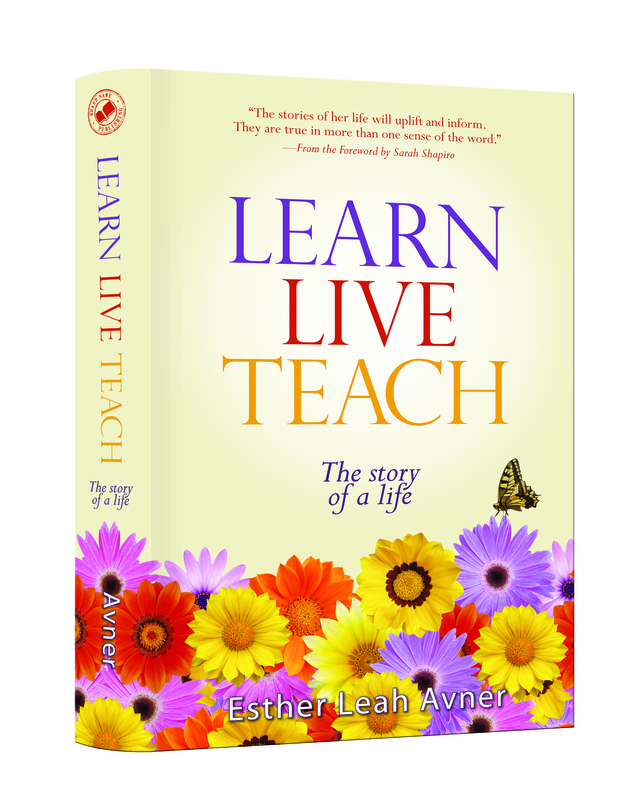 Later in life, when Esther Leah meets Rav Avigdor Miller, zt”l, she feels an immediate affinity for this dignified, American-born rav, and she becomes an integral part of his community—an entire story on its own. What is it about novels that have such a pull on people and their emotions? Perhaps it is the break from everyday life that novels afford their readers. Or maybe it’s the enjoyment of gaining insight into other peoples’ thoughts and feelings, regardless as to whether those “people” are fictional or not, from the comfort and safety of one’s own living room couch. Sometimes, though, there are novels that have the ability to open up new worlds and share a completely different perspective on something. These novels are no less captivating or entertaining, yet they impart a very profound message on all who read them. 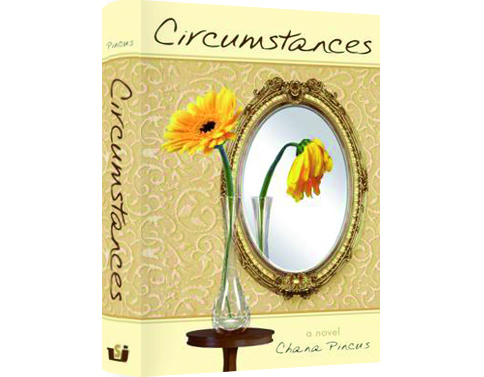 Circumstances, by Chana Pincus, is one such novel. It’s the story of an ordinary young woman who finds herself in a heartrendingly out-of-the-ordinary situation. Shoshana’s a seminary graduate who lives in Eretz Yisroel with her husband and works in special education. Typical enough, right? But what even her neighbors and closest friends and relatives don’t know about her is that she is suffering in her marriage. Her husband Elya isn’t a villain, which is what makes this book hit home so much more. It’s not a wild fiction story where you will find out that Elya has some deep dark secrets. Instead, we meet a man who is learning in kollel, but whose heart is in fact far away from that ideal. Unfortunately, Elya is determined to follow his heart—and he is too self-centered to ever consider his wife’s opinions and feelings along the way. Their lives would have continued along this way, with Shoshana swallowing her tears and struggling to accept her lot, if not for one of her husband’s adventures that went awry, forcing her to really look at her life and decide that she could take no more. When she decides to divorce, she has to face a society that is slow to understand and quick to condemn. I think if we are honest, we will all find bits of ourselves in the world the author presents in this book. It’s eye-opening to look at the situation from Shoshana’s perspective. There is nothing “empty” or “waste-your-time-while-you-read-it” about this novel. Besides for Circumstances being an interesting read, there is a whole lot to gain from it. Israel Book Shop presents Chapter 10 of a new online serial novel, Beneath the Surface, by Esther Rapaport. Check back for a new chapter every Thursday or Friday. Click here for previous chapters. Israel Book Shop presents Chapter 9 of a new online serial novel, Beneath the Surface, by Esther Rapaport. Check back for a new chapter every Thursday or Friday. Click here for previous chapters. Half an hour later, a dark-haired figure walked through the entrance of the hotel. She went up to the third floor and knocked lightly at a door. Diana opened the door and proffered her hand. Lara scampered behind one of the armchairs. Another movement from behind the chair was the only response. Diana sighed morosely. “I’m sorry for the bother,” Rosa said, discomfited. “But if the child came back to you after having known you for all of half an hour, that says something. Children know how to recognize a warm heart.” She walked over to the velour armchair tentatively. The small back stiffened in defiance and the tightly pressed lips remained clamped shut. “She can stay here with me, until I return to London,” Diana said slowly, surprising even herself with the suggestion. If that’s what you thought when you read the back cover of The Reporter, you’re both right and wrong. 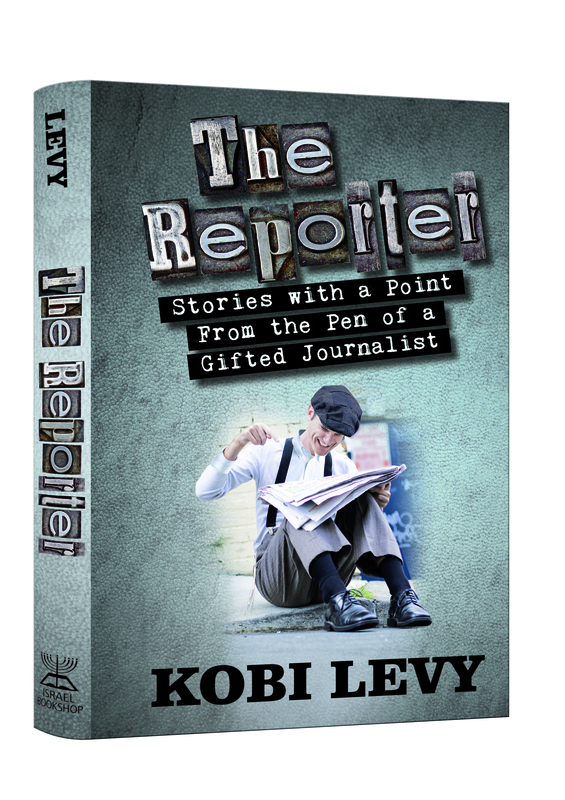 True, Koby Levy’s life story—which comprises Part 1 of the book—is the story of how he discovered Yiddeshkeit and what he did with that discovery. But you’re wrong on two account, because, number one, Levy’s “baal teshuvah” story is anything but “another baal teshuvah story”—it is as atypical as it can get; and number two, what about the rest of the book?? I guess we should stop there, before we ruin the book for you… But take our word for it—this is one book that will provide you with hours of pleasure reading, and you’ll find yourself relating the stories to other people, too—until they decide to buy the book for themselves, as well…!